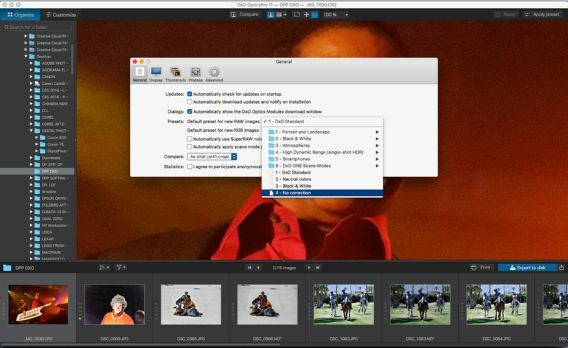 DxO OpticsPro 11 is a comprehensive image enhancing suite from DxOMark that packed with variety of advanced tools for processing RAW and JPEG images and perform detailed image editing. DxO OpticsPro 11 perfect for automatic corrections for distortion, vignetting, chromatic aberrations, images sharp, and other lens quality issues. The software can support to correct problems found in more than 30,800 combinations of lenses and cameras. With its PRIME (Probabilistic Raw IMage Enhancement) technology, DxO OpticsPro 11 capable to reduce image noise. In addition, the software also brings superb features like DxO Smart Lighting for optimize exposure and contrast, DxO ClearView to remove haze and air pollution. DxO OpticsPro 11 normally cost $129 for the Essential Edition and $199 for the Full Version. As part of promotional offer, DxO is offering everyone with free genuine license of DxO OpticsPro 11 Essential Edition with no cost. The offer is limited and expires on July, 31th 2018. Go to official DxO promo page HERE. Enter your email address and then click “Submit” button. 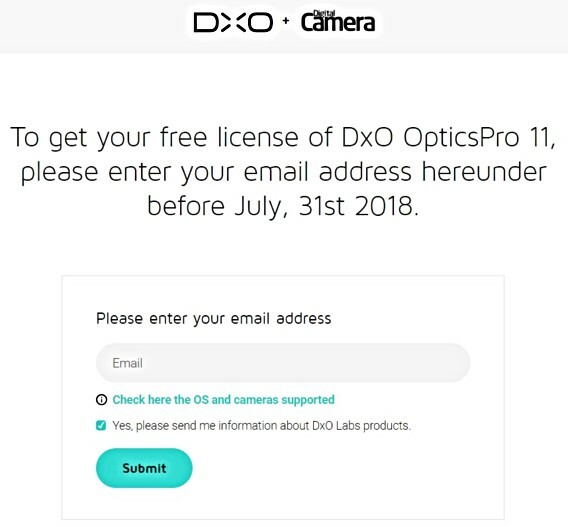 An email from DxO will sent to registered email containing with activation code (license key) and download link for DxO OpticsPro 11 Essential. Follow the instruction to complete activate the software.